We have been having lots of FUN with our Finger and Tempera Paints from Rose Art. Both of these products come in awesome unique packaging. 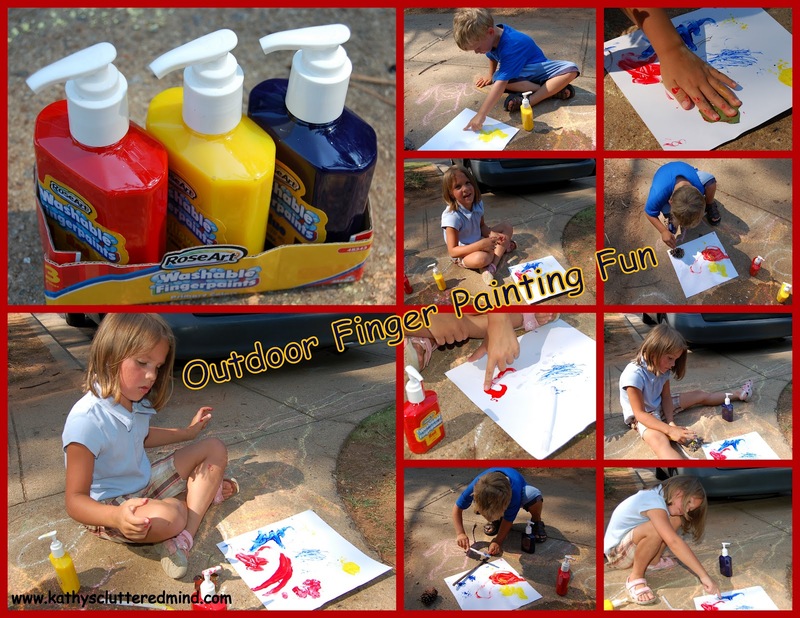 The Finger Paints come in a pump top bottle which help to reduce waste. The Tempera Painters come in a tube which has a cap on the end with a dabber where the paint is dispersed. Again this helps to reduce waste and make them easier for little hands to paint, doodle and dab with. And my favorite thing about both of these items is the packaging makes clean up a breeze. 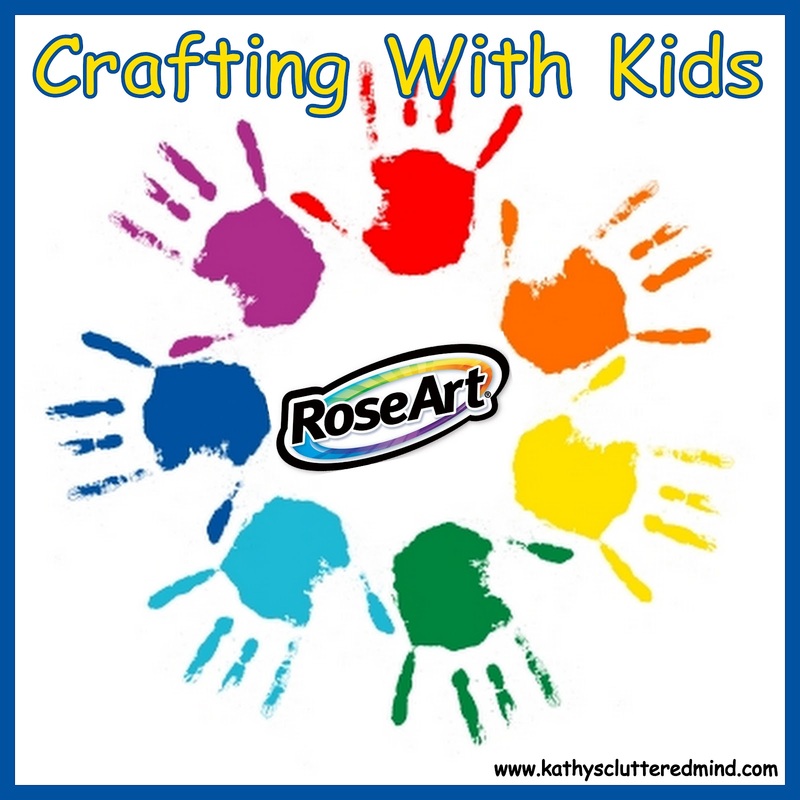 Here are some crafty projects we have made using these two Rose Art products along with some paper, scissors and recycled toilet paper tubes. 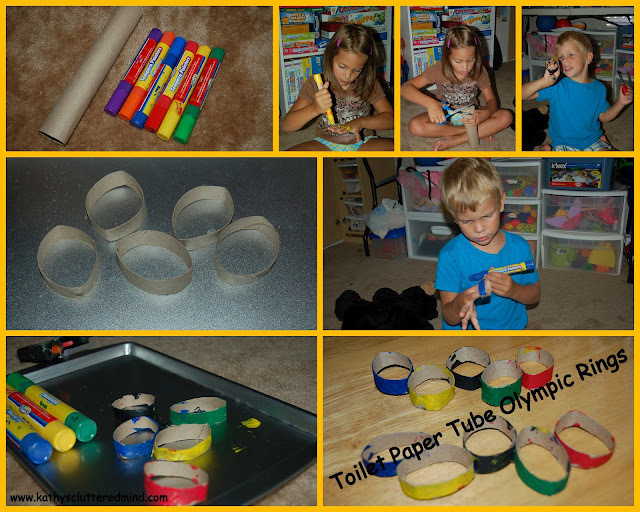 In preparation for the Olympics we have been reading lots of books, watching clips online and crafting. For one of our Olympic crafts we made the famous Olympic Rings. And learned all about what the rings symbolize. 1. Cut 5 rings from the toilet paper tube. 2. Paint the rings red, yellow, green, blue and black (we used regular acrylic paint for the black). We didn't paint the inside of ours but I suggest you do they will look much better. 3. Let them dry and then glue them together. 1. Have your child place their thumb and index finger together to make a circle. 2. 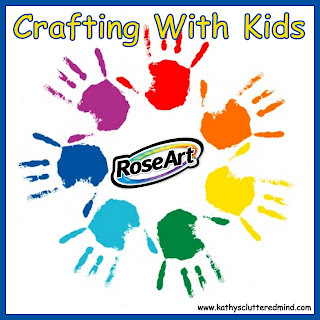 Paint the circle that your child's hand creates and push it down entirely onto the white paper. 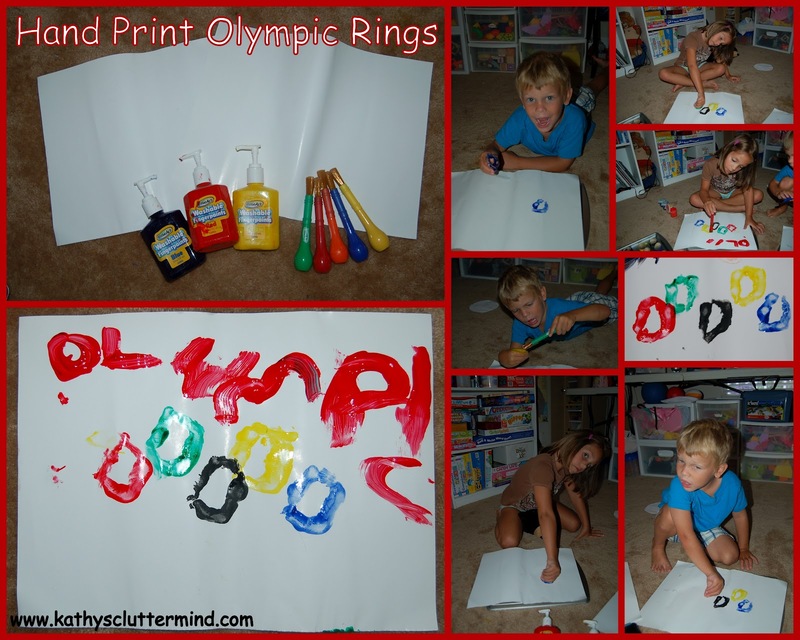 Do this with each of the colors red, yellow, green, blue and black (again we used regular acrylic paint for black) to make the Olympic Ring symbol. 3. Let your children decorate or write on their picture. Beat the heat with Tempera Ice Cube Paints and make a gorgeous masterpiece. 1. 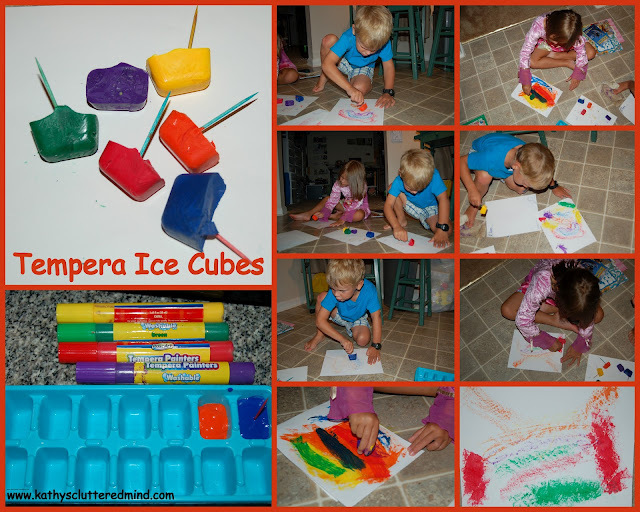 Fill an ice cube tray with Tempera Paint. I just unscrewed the caps on our Tempera Painter Pens to fill our tray. Place a tooth pick into each color. 2. Freeze them about 2 hrs. 3. Pop out your Tempera Paint Ice Cubes. 4. Let the kids go wild. I loved how vibrant the colors are. And after your done and if you haven't use up the ice cubes pop them back into the tray and back into the freezer. Last week we headed outside with our finger paints and made some fun pictures. The kids decided to use pieces of nature as stamps. They experimented with leaves, sticks and pine cones. To buy these products visit your local Walmart, Joann's, Target, etc or visit my Rose Art Amazon store.